Аннотация к книге "Moscow in pocket"
The guide-book «Moscow in pocket» is published specially for those, who are going to visit Moscow. 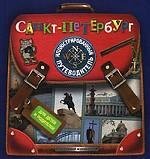 The aim of this book is to make the stay in Moscow easier and more interesting. On the pages of the guide-book all the necessary information concerning the preparation for the trip is included. In the book there is information about: hotels and places for accommodation, hotels reservation; information about the city’s transport, shops and restaurants; places of interest, museums, all kinds of excursions (the information about the prices and opening hours is included); theatres, nightclubs etc. One of the chapters is devoted to the suburbs of Moscow. There is the plan of the city’s metro in the book.